Increasingly, businesses, householders and local authorities are looking for better alternatives for the recycling of unwanted carpet materials. Brintons are proud to now be a member of Carpet Recycling UK, a not for profit membership association working to increase the recycling of carpet waste across the UK. 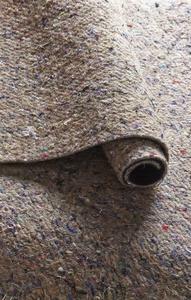 Carpet Recycling UK help to ensure that the growing demand for carpet recycling services is met. Through innovation in end-of-life solutions for carpets they envisage a world where 100% of all carpet waste is diverted from landfill through either re-use or recycling. Many of our current retailers offer a takeback service and can recycle the carpets that they uplift from your homes. If you would like more information then do take a look at the Carpet Recycling website for more advice and recommendations. We are fully committed to striving to improve the products and services we offer to all of our customers while minimising any negative environmental impacts or safety risks. We already recycle our yarn and thread waste to create our Brinfelt underlay and look forward to working with Carpet Recycling UK to further improve our efforts.